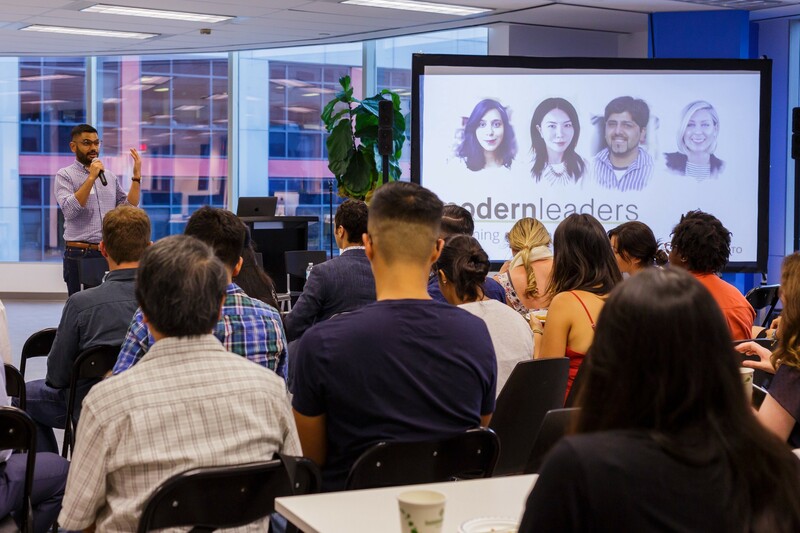 Our Modern Leaders event series explores the path of a modern leader with the purpose to equip managers for their journey in tech. 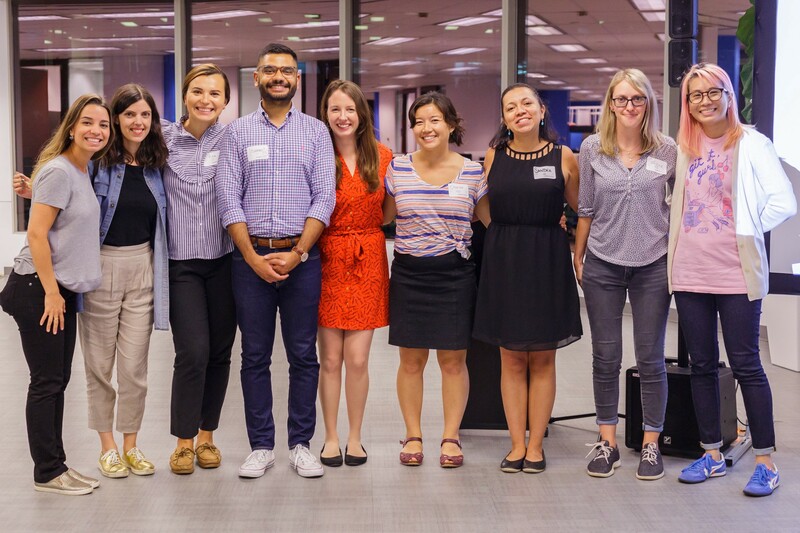 Dayana Cadet, Content Manager at Women and Color, summarizes our first event below thanks to Sandra Riano for her thorough notes. what they’ve learned from their mistakes. Moderated by Elisha Gray, Senior Human Resources Consultant at Bright + Early. 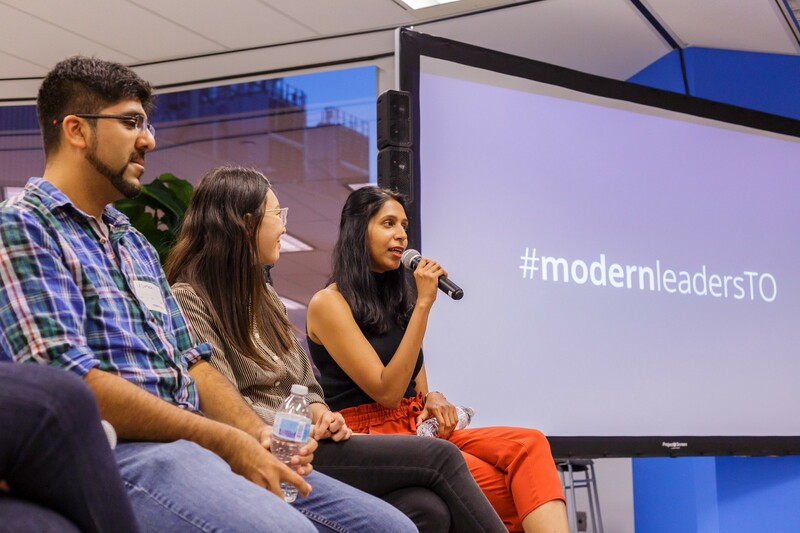 Learn how our panelists’ experience shaped their personal life and get tips that are as invaluable as they are actionable. As a first time manager, you need to evolve from ‘I need to get my tasks done quickly and correctly’ to ‘how can I guide my team to get these tasks completed, even if it takes longer at times’. As you delegate tasks, you need to be aware of the different work styles and competency levels that exist in your team. You need patience. Your team is a reflection of you, so you need to make sure that your team is up to date, empowered and experienced. Documenting what you learn in your meetings is also important to ensure your team progresses and you do, too. As a people manager, you need to get out from the mindset that you’re the smartest person in the room. You’ll be surrounded by a team capable of doing their job, [take advantage of] the wealth of new information available to you. Tip #01: Observe other experienced managers to learn and get ideas from. Ownership and the opportunity to make an impact are more important. Remember: people don’t leave their job, they leave their manager. It’s important to understand what your team members are looking for, their pain points, what they want to learn, and where they see themselves going. It’s also vital to connect them with other mentors if you’re not the right fit or if they need skills outside of your expertise. Tip #02: Create a peer relationship with your team. Trust them, give them freedom and empower them. Make decisions together. Setting aside weekly or biweekly one-on-ones (30 minutes) to cover: What went well? What didn’t go well? What are the next steps? Doing these check-ins frequently means you don’t lose touch with your team. Make sure to space out your check-ins to properly digest and consolidate feedback. Tip #03: Keep track of the positive and negative feedback you are giving. Document all decisions and next steps. You can mitigate [conflicting opinions] by hearing everyone else first, listening to their perspectives, and speaking last. Ensure you don’t confuse collaboration with consensus. You can’t ensure all decisions have 100% buy-in so learn to live with that. You can influence decisions, but sometimes you can’t, and that’s okay. If you want to sell an unpopular decision to your team, take a look at how the decision aligns with the organizational values and ensure you position it that way to your team. This will make it easier for them to digest. Sometimes it’s best not to sugar-coat it and to get straight to the point. Let your team process it and then have a follow-up meeting to chat. As a manager you don’t always need to give solutions; empower your employees to find a solution. Tip #04: When delivering tough news, let people process and then have another meeting to chat. Accept that it’s okay to make mistakes — it’s a good learning experience that will make you a better manager in the long-term. There are no absolute certainties, so you must learn to be fine with making wrong decisions. If at all possible, make easily reversible decisions earlier on in the process because the longer you wait, the bigger the chance it’ll be that the decision will not be easily retractable. Have a mindset of learning — become comfortable with reaching out to sources, shadowing them, and learning from them. Tip #05: Talk to others, read books and listen to podcasts; spend time perfecting the skill of management. At the end of the day, remember that these relationships you hold as a manager are about treating each other with respect. 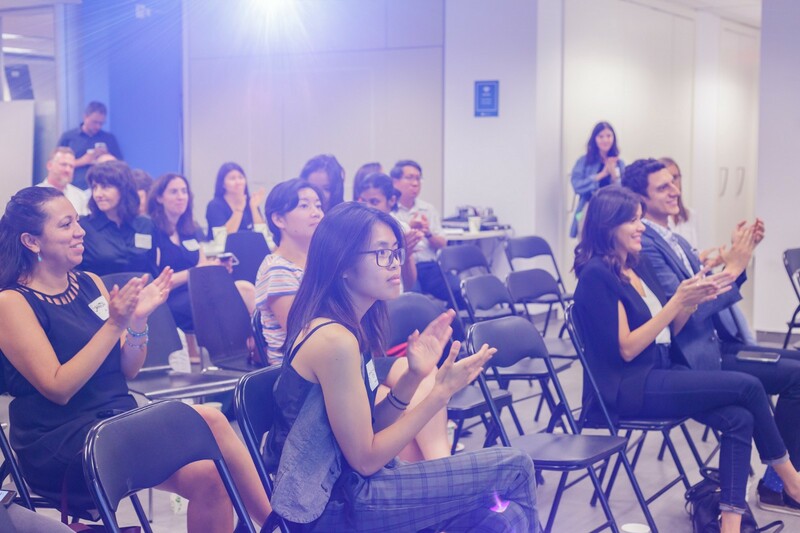 At each Modern Leaders event, we welcome a Community Speaker who represents a not-for-profit organization with our shared value of building an inclusive tech ecosystem. 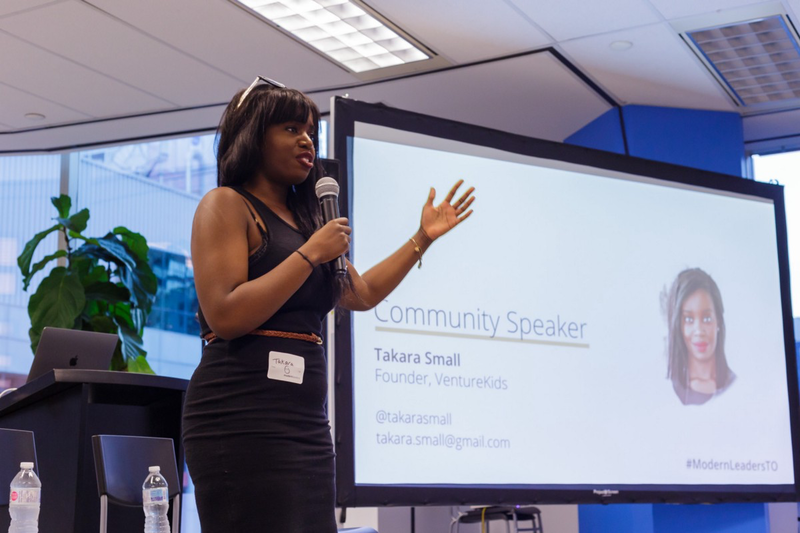 For our first event, we had the talented Takara Small, tech journalist and host of a Globe and Mail’s ‘I’ll Go First’ podcast, speak about her organization, VentureKids. 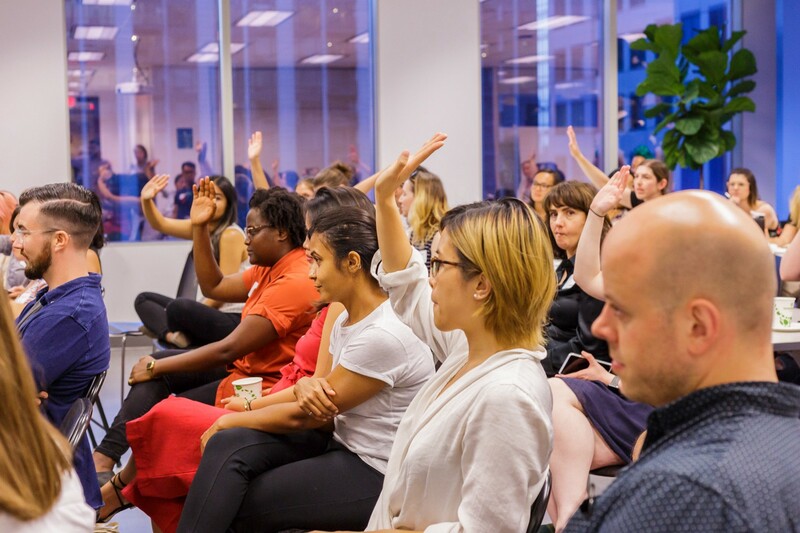 VentureKids is a nonprofit that teaches youth from Toronto’s underserved communities how to code and launch their own tech-focused startup. 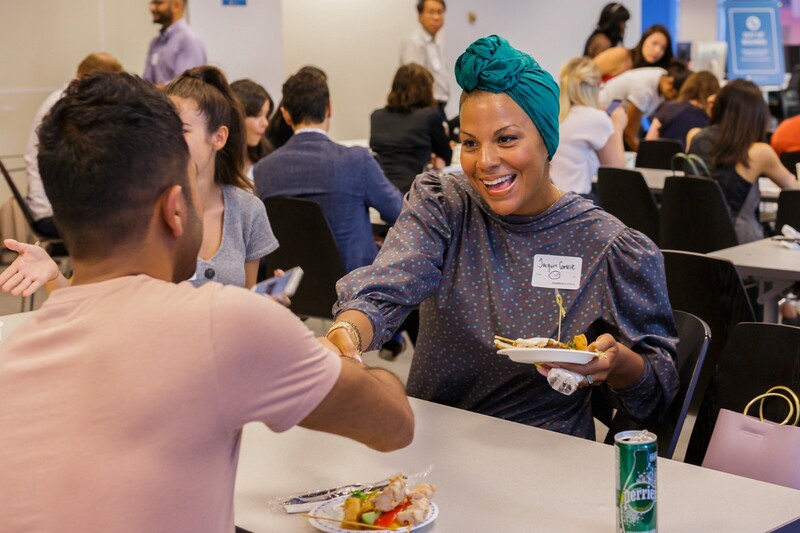 We’re grateful to Andrea, Swapna, Usman, and Elisha for sharing their remarkable insights and hope our attendees came away feeling inspired. Thank you to everyone who made our first event a success! 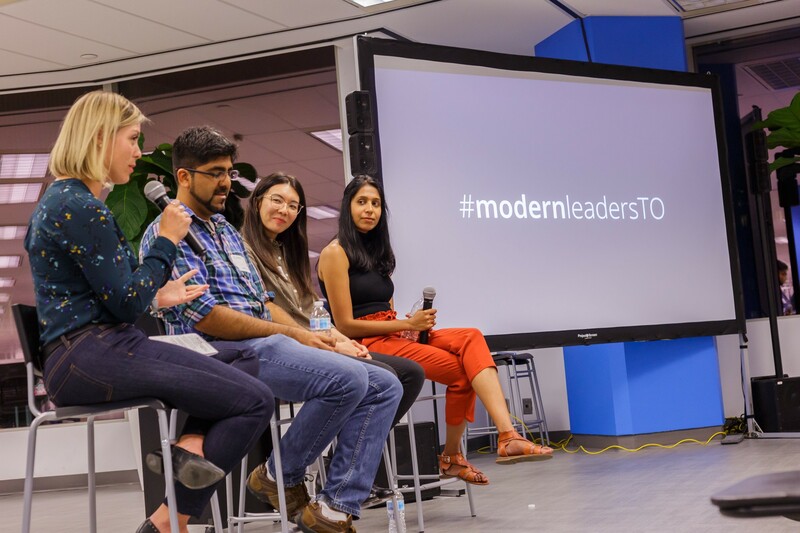 Feel free to share your thoughts in the comments below and keep the conversation going on Twitter at #ModernLeadersTO. You can find all the photos from the event on our Facebook Page. Photography by the talented Catarina Teixeira Veneziani Lauar. We are extremely grateful by the generosity of our Premier Partners. Much of our efforts would not be possible without their ongoing support. Thank you!